Summer break is quickly approaching! We know that you’ve been working hard to succeed inside the classroom and outside as well, so we hope you are preparing for a relaxing, and productive upcoming summer. You may have some downtime in the summer to begin thinking about your interests, career-related or not. Take some time to reflect on what you’ve accomplished this year; what did you enjoy the most – what are your favorite activities and classes? Try some of the exercises in the Explore section of our Career Planning Guide to help you identify your interests and values. Try to connect these to careers and fields of study. Look through tools such as Vault to discover more about organizations and industries. Also, you can start learning about specific industries through our industry exploration pages. You may have secured a summer internship, research position, part-time job, or a volunteer opportunity for this upcoming summer. Now is a great time to understand what skills you need to have in the future, and what skills you’d like to develop. Try to make it a priority to speak with a co-worker or supervisor on how you can gain experience in specific areas that will better prepare you later on. You can figure out what skills you have by working on the skills activity in the Career Planning Guide. If you don’t have a structured plan for the summer, think about what you want to learn or skills you can develop outside the classroom through volunteering, personal projects or online course through Lynda, Udacity, or Coursera. You may still find an internship; new positions are posted daily in LionSHARE. Be open to opportunities at home too, tell everyone you know that you’d like to work this summer and ask them to keep you in mind. Don’t forget high school teachers, friends of the family, your friends’ parents etc. You may be meeting many new people this summer and you’ll want to stay in touch with them afterwards. Set a goal of connecting with 1-3 people over the summer through informational interviewing so you can learn more about their positions and career path. You can review the networking section of our Career Planning Guide for tips on informational interviewing. As you may remember from this past fall, the academic year starts very quickly and as soon as you know it, your calendar will be booked! You can spend some time over the summer coming up with a game plan for your sophomore year. If you are hoping to find an internship during the year or for next summer, search LionSHARE for internship positions. If you aren’t sure when positions you are interested in will be available on LionSHARE or how to prepare, you can schedule a 30-minute session with a CCE counselor by calling 212-854-5609. 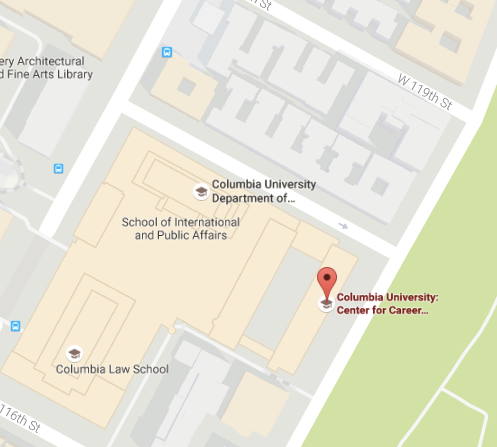 CCE is open all summer and we’re here to support you throughout your time at Columbia and Beyond! Please provide any feedback so we can make our resources the most relevant and helpful for you. You must login to provide feedback. Our “Design Your Next Steps” career planning guide contains everything you need to jump-start your career beyond Columbia. Disability access is available at the southern door of 70-74 Morningside Drive. Ramps provide entrance to the front desk. A sign indicating disability access and Center telephone numbers is posted below the University call box. To ensure the ease of access, it is strongly encouraged that clients call either the front desk at 212-854-5609, Employer and Alumni Relations at 212-854-9167, or email cce@columbia.edu prior to arrival. To make an appointment, visit LionSHARE.